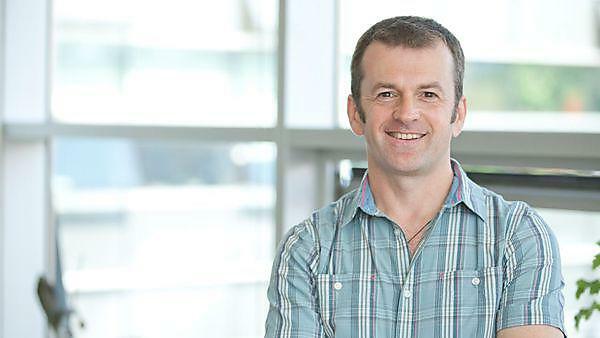 Dr Mathew Upton, Associate Professor in Microbiology at the University of Plymouth’s School of Biomedical and Healthcare Sciences, leads the consortium from the University of Plymouth arm of the partnership. A consortium of scientists from Ingenza Ltd (Edinburgh), the National Physical Laboratory (NPL, London) and the University of Plymouth has received funding of £933k from Innovate UK to develop a design and manufacturing platform for the production of a new family of antibiotics. The funding will be for three years. Ingenza is the UK’s premier industrial biotechnology company and will engineer systems for production of the new antibiotics. NPL (the UK’s National Measurement Institute) will apply its expertise in the design and measurement of antibiotics that selectively attack microbial cells, and contribute artificial intelligence approaches for antimicrobial discovery developed in collaboration with IBM and the Science and Technology Facilities Council’s (STFC) Hartree Centre. Staff at the University of Plymouth are internationally recognised for the discovery and development of novel antibiotics. No such combined capability currently exists in the development of new antibiotics and antimicrobials. The success of the first antibiotics, such as penicillin, was based on their ability to not only combat infection but also provide potential for redesign to enhance effectiveness – resulting in longevity and sustainability of useful antibiotics. The consortium will develop new antibiotics/antimicrobials, which have similar capabilities. The team will work with bacteriocins, potent toxins produced by bacteria to kill other, closely-related strains. Bacteriocins are naturally active in the human body but have not evolved to function as effective drugs in the clinic. If a way can be found to convert bacteriocins into effective antibiotics, they offer excellent potential for use to address the growing problem of antibiotic resistance and the threat this poses to human and animal health around the world. The consortium will take a model bacteriocin, discovered by University of Plymouth staff, and enhance its performance in terms of range of action, stability and potency. The aim is to generate derivatives which show drug-like properties without compromising the bacteriocin’s original potent bacteria-killing abilities. The manufacture of the derivatives will then be scaled-up into commercially attractive production systems. Dr Mathew Upton, Associate Professor in Microbiology at the University of Plymouth’s School of Biomedical and Healthcare Sciences, Peninsula Schools of Medicine and Dentistry, leads the consortium from the University of Plymouth arm of the partnership. Currently, it is estimated that around 50,000 people are already dying each year in Europe and the US from antibiotic resistant infections, according to Lord O’Neill’s Review on Antimicrobial Resistance.